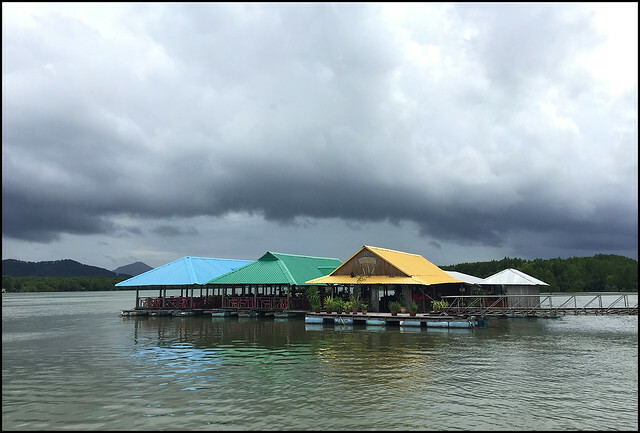 Low season weather in the Phuket area is rather unpredictable. If you're lucky you can get a week of sun and blue skies in the so-called rainy season, but if you are unlucky you can get a week with hardly any sun. The months from June to August 2017 were actually quite nice this year, but the second half of September 2017 was particularly wet. 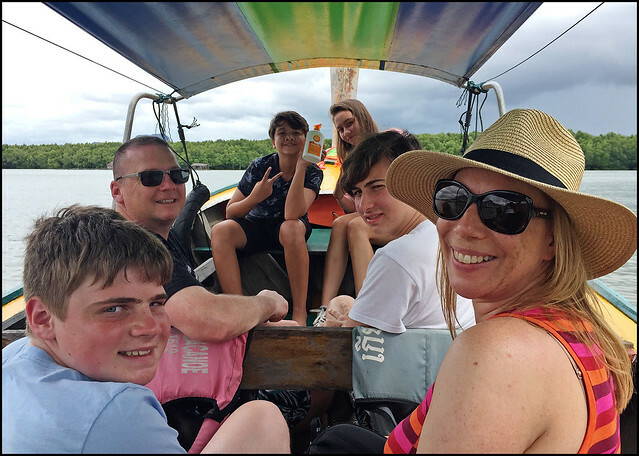 And unfortunately for my cousin and her family, that was when they visited Phuket :) You certainly do hope for lots of sunny beach days when visiting Phuket on holiday, but in low season you have to gamble, and at the same time take advantage of cheap hotel prices. 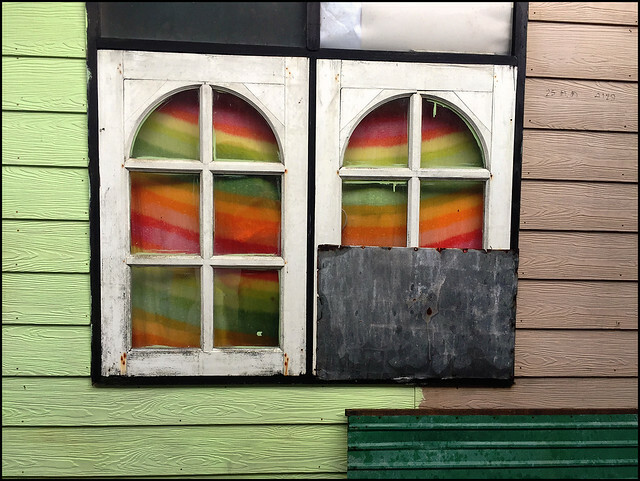 So we had a whole weekend to take my cousin's family out and the weather was not promising, but often I believe you should just go anyway - the weather here is often not as bad as it looks, and rain can be very localised. 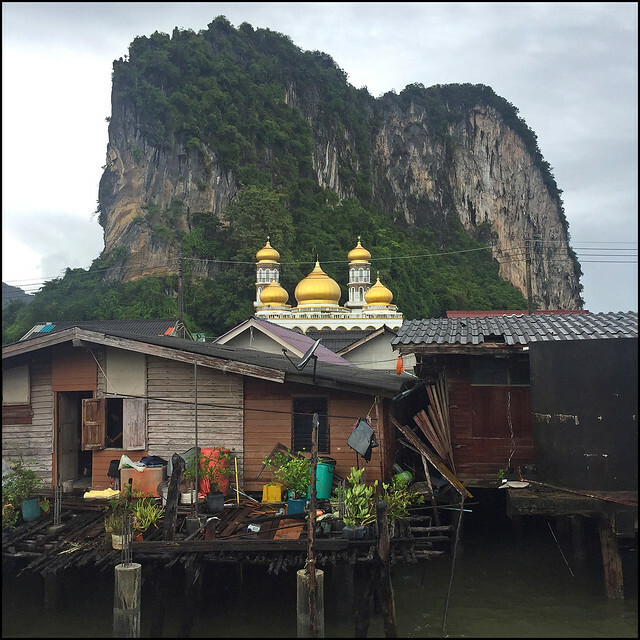 We planned one of our Phang Nga Bay tours including James Bond Island and Panyee village. 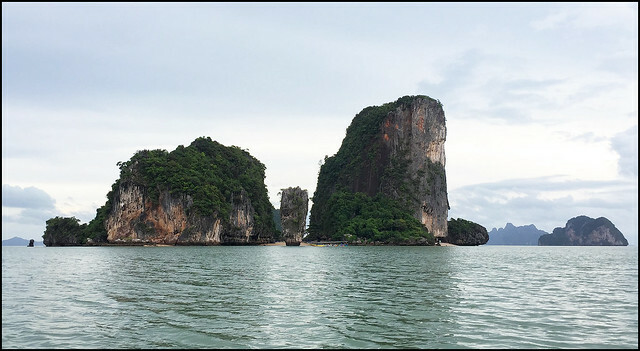 We have done trips like this many times and it's been on the blog before - see Phang Nga Bay 2010 and Phang Nga Bay 2015. 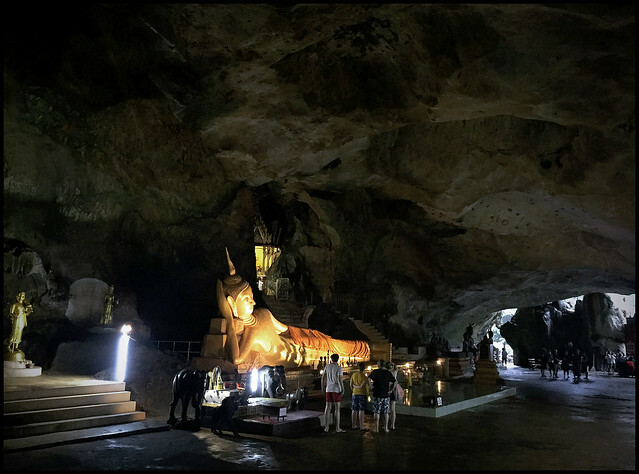 My friends with the Easy Day Thailand tour company run day tours around this area. So, Saturday was looking rather wet, but we drove out of Phuket anyway (always think positive!) and had a nice lunch at Nern Khao View Talay, a nice restaurant with a view. But as we ate we could see rainclouds coming in quickly from the west and a couple of times the rain lashed down. 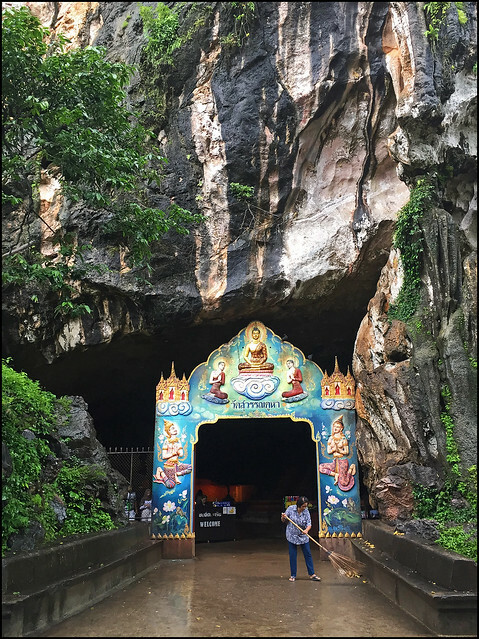 Undeterred, we continued to visit Wat Suwan Kuha, a lovely temple built into a cave close to Phang Nga Town. Well, the weather really was wet. Rained most of that afternoon, rained all the drive back to Phuket but did finally stop in the evening for us to have a little walk around old Phuket Town! But on Sunday morning - we woke up to sunshine! Yes! Let's try again .. we drove off Phuket again, and the weather looked OK so we headed for lunch at Samchong Seafood where we have been numerous times before - we found back in 2010 that we could get a boat from there to James Bond Island. Lunch was very good, but unfortunately while we ate, the dark skies appeared and we had some heavy rain. 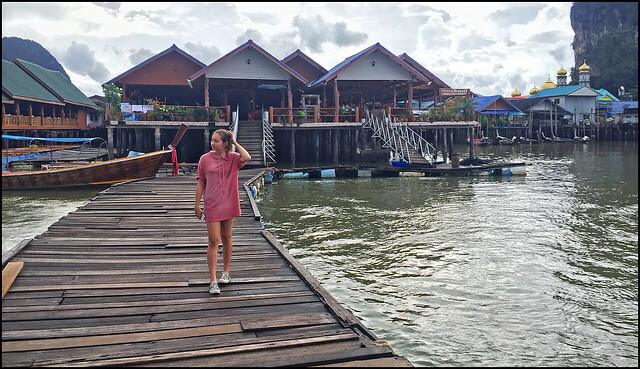 (above) Samchong Seafood and dark skies! Seemed like the skies were clearing after that lunchtime rain, so off we went! 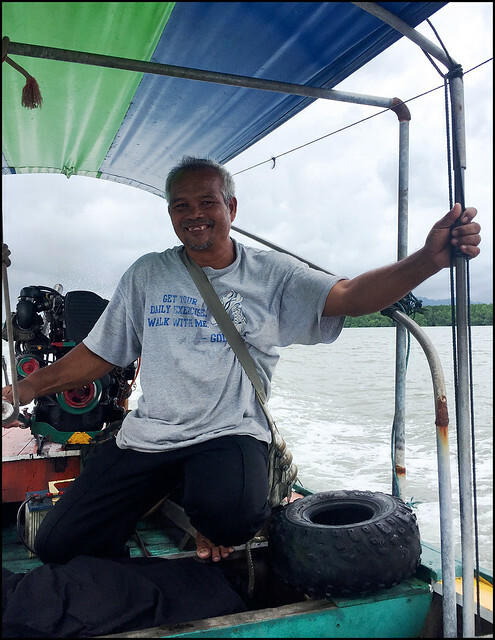 We actually got the same longtail boat driver who'd taken us in 2010 and the price was the same. Cost us 1800 Baht after some bargaining by my wife. 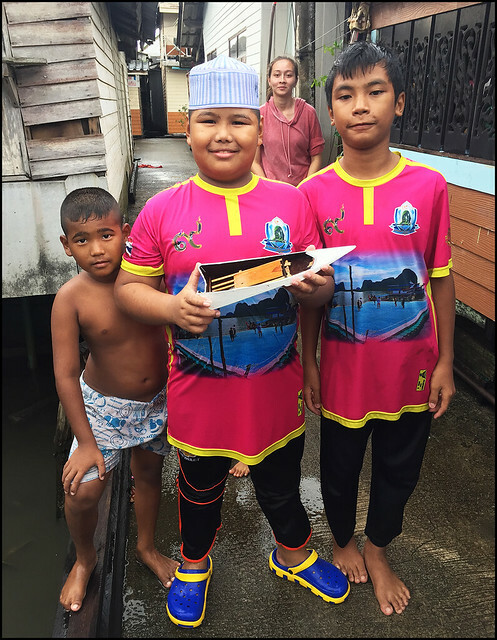 I am not sure if a non-Thai / non-local group would get the same price, but in any case, even if you pay a bit more, that's not much to have your own boat for a few hours. (above) Our longtail guy for the afternoon. 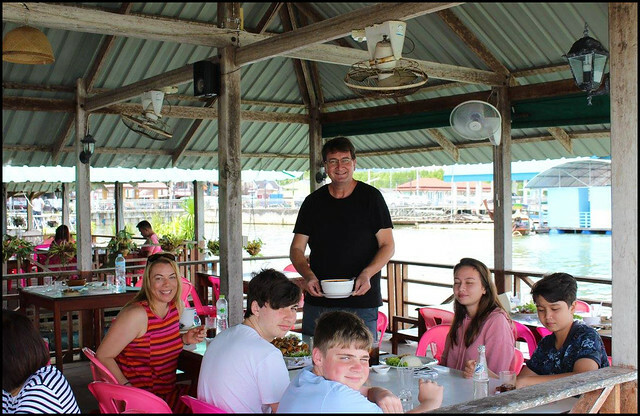 We got the boat from the jetty next to the restaurant about 2:15pm and weren't back at Samchong until about 6pm. (above) Heading out into Phang Nga Bay. 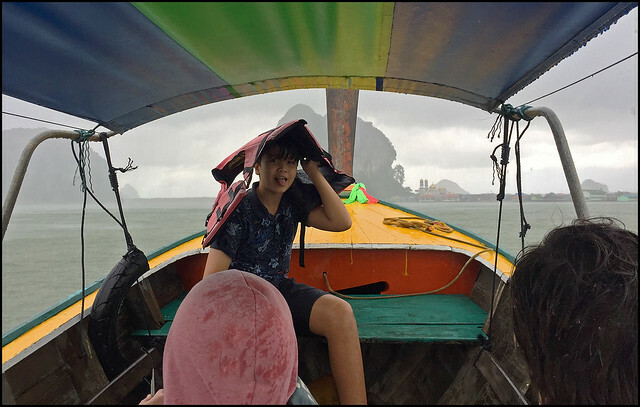 No rain ... As we came out of the wide mangrove channel where Samchong is located, we could see dark skies in at least 2 directions, but our longtail guy seemed sure he could dodge the rain! 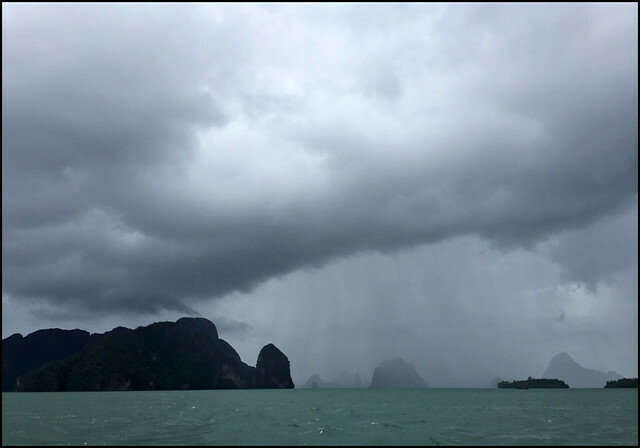 We took a detour heading towards Koh Panyee village, but eventually the rain caught up with us. (above) In the rain near Koh Panyee. I had to put the phone/camera away just after this, it was wet! 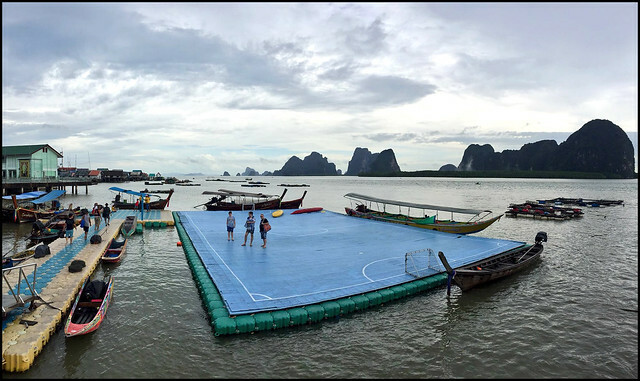 (above) The floating football pitch at Koh Panyee. 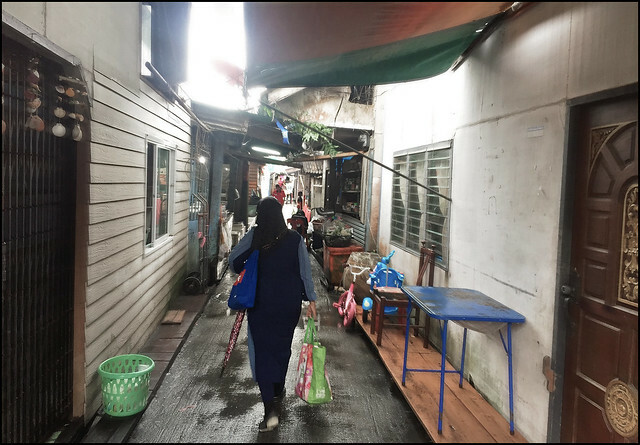 It's between the mosque and the school on the west side of the island, so you need to follow some little alleyways to find it - all the restaurants where tours land are on the east side. As you can see from the photo above .. the weather again looked better. 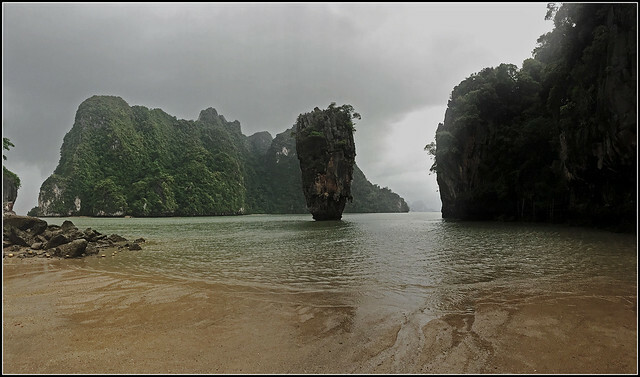 We spent about an hour at Panyee before heading south to James Bond Island (actually called Koh Khao Ping Kan). Only about 20 minutes by longtail boat. We approached Scaramanga's island just after 4:30pm. There is some kind of rule with national parks. If you arrive after 4:30pm you don't need to pay the entry fee. Our boatman shouted over to the beach where a couple of park staff had already closed their office. We did not need to pay. Normal entry fee is 300 Baht for non-Thai people. 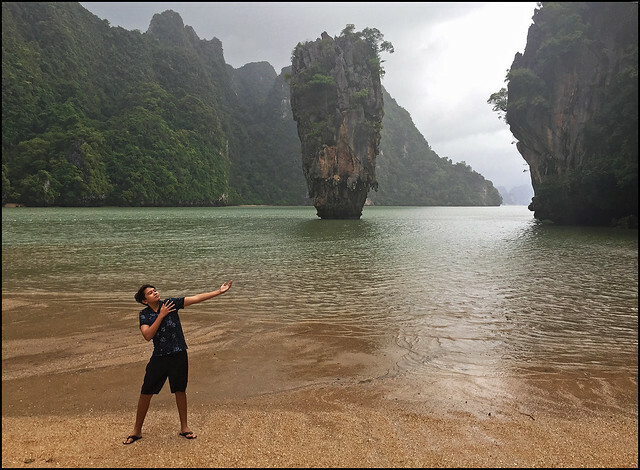 The other advantage of arriving at James Bond Island this late is that all the tours have left already. A few of the souvenir stallholders were still there (stalls closed, waiting for the last boat home), otherwise it is very nice to have a major tourist attraction almost to yourself! We landed at the beach on the west side. We saw that a nice new stairway has been built over to the north side, much easier to walk over now! Despite the grey skies and threatening rain, the view was a good as ever, or better! Me and my boy enjoyed a few minutes on the beach, the family all got a few photos. We all had a few minutes of peace in this beautiful setting, but the rain was coming and the sky quickly darkened.